Save the Date for the Etsy Craft Party! The Etsy Craft Party is scheduled and I'm taking part in this year's event on Friday, August 24th with a local gathering in Astoria, Oregon. Hello, party people! In a few short months, the best day of the year will be upon us. Our third annual Etsy Craft Party offers up an opportunity to toss confetti, inflate a bouquet of balloons, sharpen your scissors, and celebrate two of the best things in our handmade lives: craft and community. We will be celebrating together in towns and cities across the globe on Friday, August 24, 2012. In a nutshell, Craft Party is a celebration of meeting and making, of creativity and community. It’s a time to meet your neighbors and share a creative skill. It’s a time to have fun and party down with scissors in your hand (carefully, that is). Anyone can organize a Craft Party and anyone can participate — the power is literally in your hands. This year, we are announcing a theme we’re calling Wish You Were Here. With this as a guiding idea, we encourage you to work on projects that reflects your hometown. Think about local and regional crafts, music, style, and food, ways to pay tribute to a notable landmark or place, an activity that tells local lore through handmade means, or any creative activity that speak to this spirit of local flavor. This is definitely open to interpretation, and it’s up to you to decide how you showcase the theme at your party. We’ll be planting more seeds of ideas in posts to come. We will be announcing further details about Craft Party 2012 in the coming weeks, but we wanted to go ahead and give you a date to save so you can start your scheming. Future posts will share tips for organizers, RSVP information, DIY party ideas, how-to projects incorporating the theme, and many more morsels of inspiration and straight up logistical know-how. 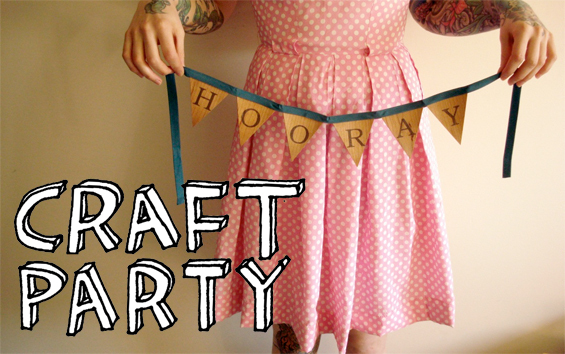 How did Craft Party 2011 work? What were some Craft Party stories and quotes from 2011 and 2010? Where can I see photos from past parties? 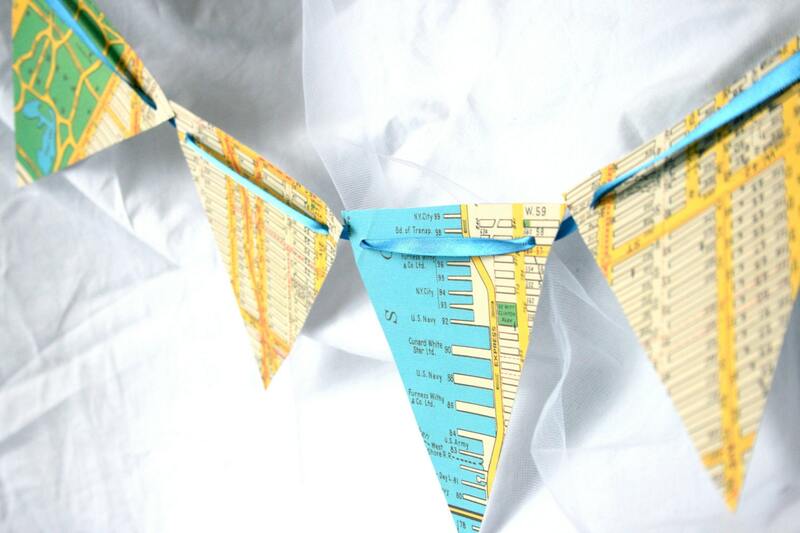 Can you give me some ideas of projects to make at my Craft Party? Is there a Craft Party Team on Etsy? That's the plan or the beginning of one, anyways. For those of you local to Astoria, Oregon (or close enough) stay tuned for more information as we secure a location and time. And put those thinking caps on - we need a killer "Wish You Were Here" themed project. Interested in helping me plan or sponsor the event? Shoot me an email at revamphomegoods@gmail.com or a comment below. So what about you guys? Are you planning to participate or even host an event in your hometown?